It’s so interesting in life how God leads us, sometimes it seems to me, in an almost cyclical path. Or perhaps “spiraling” is a better descriptor: to new insight into Who He is, and who we are. In 2012, I left my job as Director of Orphan Care with Hope’s Promise, a position I deeply believed in and loved. But the prior decade held a whirlwind of adoptions, world travel, and health struggles of family members, culminating in the death of my father and grandfather within two months and a gathering storm cloud of my child’s intensifying illness. In a way, I think it all caught up with me, and I felt the Lord calling me out to another place, a more deserted, contemplative place. For the last four-plus years, I’ve culled that intense decade of many treasures, hard-won through sorrow and pain. 2012 felt sort of like arriving home after a very long trip with an over-stuffed suitcase that dominated a room, making escape impossible until it was attended to. It demanded my attention. One by one, in no particular order, I unpacked for four-plus years. This blog is perhaps the best testimony of that winding journey through art, memories, photographs, daily life. I’ve written, painted and published as the ideas surface. But lately I feel a compulsion, maybe even a calling, to put some order to it all. I didn’t know anyone who actually set foot in Africa until high school. Then, as I navigated back into my native culture after living in Australia for a year-and-a-half, I bonded with another cross-culturally confused student. Julie grew up living in the Masai huts of Kenya, the daughter of missionary parents who moved back to the US around the same time I returned. She talked about adopting babies from Kenya some day, inspired by witnessing so many children in African orphanages. My parents adopted my youngest brother when I was 13 years-old, so adoption was woven deep into the fabric of my own definition of family. From the beginning of our marriage, David and I agreed we were both interested in adopting someday. God gave us two beautiful biological boys, Jacob and Justin, born three years apart; and at a time we least expected, as we cradled our several-month-old second-born son, the journey began with an email from Julie. 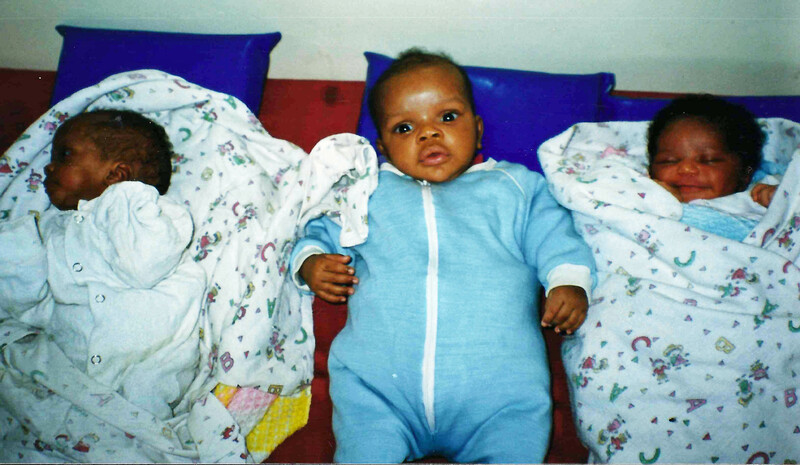 Julie and her husband were ready to adopt from Kenya. Her mother moved back to Nairobi and volunteered regularly at a Mother Teresa Home for Abandoned Children. Julie forwarded a message about the babies who were available for adoption so I could help her process. I read about “Baby Josephat.” His temperament sounded so much like my own precious newborn, described as “easy-going and happy,” but with one stark contrast – Josephat was abandoned, and he knew no family to call his own. That night I sat on the couch next to David and wept inconsolably for about an hour. It was an unbearable, irreparable rending of my heart. After that, I began to pray obsessively for a family to adopt Josephat; and somewhere along the way, I began to pray we could adopt him. Soon after that first email, Julie forwarded photos of the babies. I knew immediately which one was Josephat, without even reading the captions. It was as if I always knew him. My husband knew nothing of my internal process. One day, all the inner workings of my thoughts and prayers reached the point of combustion. I called David at work and told him he should sit down because I had a crazy idea. Dave likes to joke that the Mother Teresa sisters name all the baby boys “Josephat” as a marketing scheme for adoption. Nevertheless, God worked in his heart as well, and soon we embarked on a flurry of paperwork to bring Josephat home. We considered names for our soon-to-be-son.We wanted to claim him with a new name. I remembered the promise given to Solomon, but because our two biological sons were named with “J” names (Jacob and Justin), we didn’t want Josephat to feel left out. The name “Jedd” settled perfectly. It means “beloved of God,” the identity we most long for him to embody. And so began the journey towards our son, and towards our first day in Kenya. Such a beautiful beginning of your story! It’s such a crazy story! Surely only God could write a story this crazy! Thank you for being along for the ride.